We’ve always had a special place in our heart for homeschoolers here at Sparkle. 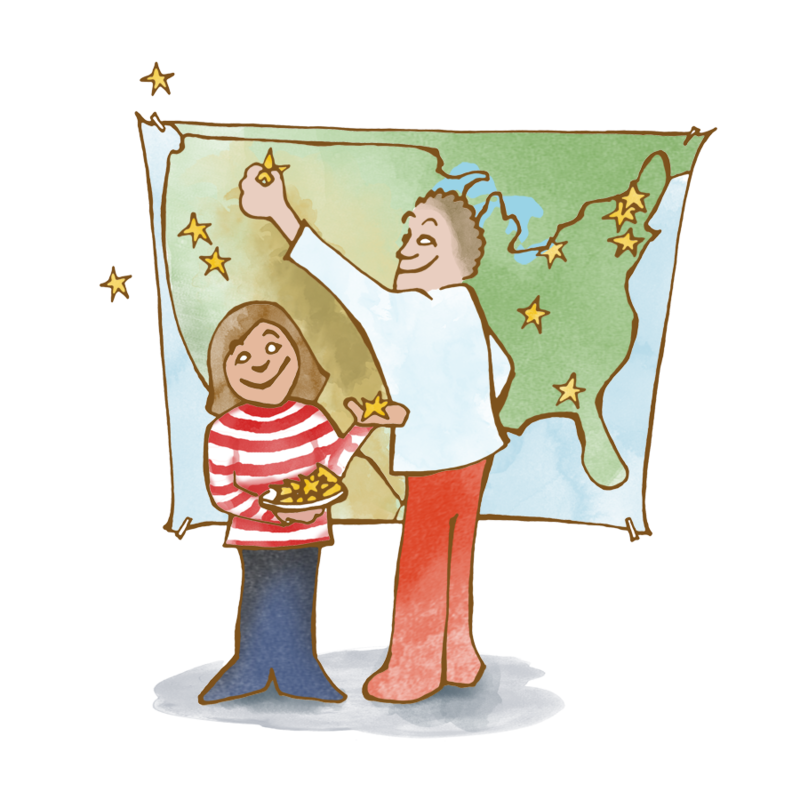 David & Lisabeth homeschooled on and off with their own children, and three of the eight Sparkle team members are homeschool families. That’s why we’re thrilled to announce our first dedicated story package for homeschoolers, a 50-story series on American history, complete with full study guide. 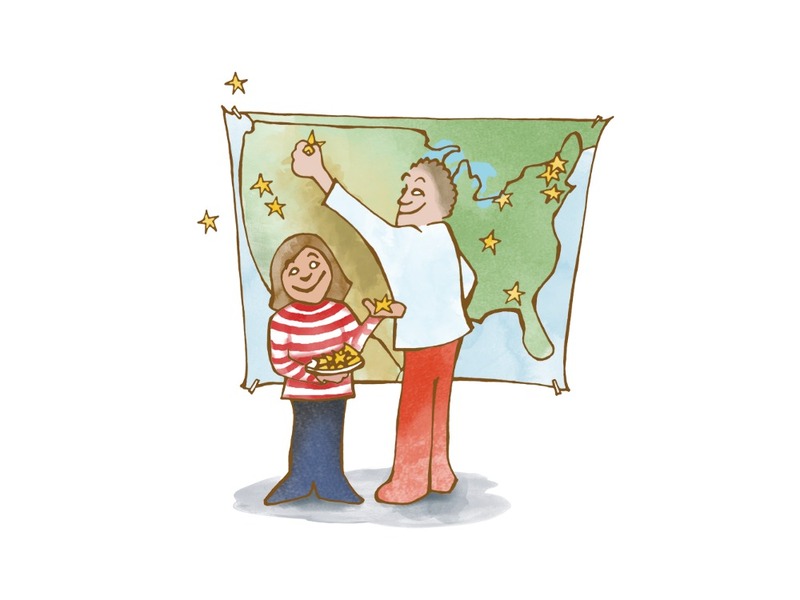 FIFTY takes children 8+ on a journey through the American Experiment, state by state. Each story looks at a state’s history through the lens of “regular folk”: rebels, industrialists, foresters, farmers, immigrants from every corner of the planet, and Native folk who have been here for a very long time. Your child will meet them all in a moment of true citizenship—when they make the American Experiment their own. That’s why we love FIFTY so and think you will too: in addition to educating, our characters and their stories can help you guide your child as they navigate the complexities of being human. We’ve packaged all the stories and study guides up neatly for you in one little bundle. Listen to a sample today and then grab the whole package for the limited-time price of $45, 25% off the usual cost! Sample a Story from FIFTY! This is the first story in the new series FIFTY: The Stars, the States, and the Stories. Blanche Noyes was the first woman to get her pilot’s license in Ohio. She placed fourth in the world famous Women’s Air Derby – right behind Amelia Earhart. Now, she flies a private Ford Trimotor airplane for Standard Oil of Ohio, spending most of her days waiting for the rich and powerful to board her aircraft. This day seems no different, until she learns who her passenger will be: none other than the richest man in the world, John D. Rockefeller. What is he doing in Cleveland and why does he want to fly in her aircraft? When the 90 year old insists on taking his first and only flight in the cockpit, Blanche and John D. have a chance to talk – and realize they actually have a lot in common. The stories in the FIFTY Series are all historical fiction – pulling from real historical and biographical facts – but “sparkled” into a narrative that engages and inspires.